US Africa Command (AFRICOM) will be adding armed drones to their Nigerien arsenals to bolster their combat capabilities after the October ambush that left four US soldiers and five Nigerien soldiers dead. 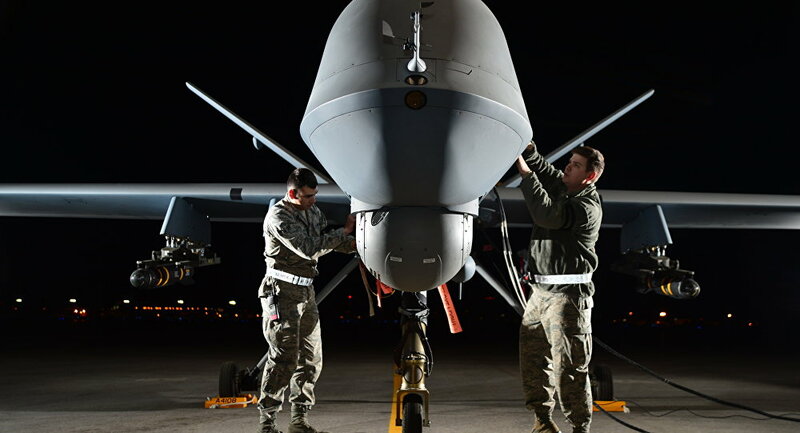 Niger had already given the US permission to fly surveillance drone missions out of bases in their country, but now Niamey and the Pentagon have come to an agreement to allow AFRICOM to add MQ-9 Reaper drones equipped with a suite of missiles on bombs to their assets. In the past, AFRICOM drone surveillance was focused on Niger's southern border with Nigeria, where the infamous militant group Boko Haram operates. They will be extending operations and take a more balanced approach, with more operations along Niger's borders with Mali, Algeria, Chad and Libya. AFRICOM will also be adding more US soldiers to the 800 already stationed in Niger and will be opening a new base at Agadez in the center of the country. The base was meant to open in 2017, but construction delays pushed the opening back. Pentagon officials did not disclose how many troops they'd be adding. "The government of Niger and the US stand firm in working together to prevent terrorist organizations from using the region as a safe haven. For operational security reasons, I will not comment on specific military authorities or permissions," Pentagon spokeswoman Maj. Audricia Harris said in a statement. The change comes with the rise of a new branch of Daesh: the so-called Islamic State in the Greater Sahara (ISGS). Based out of neighboring Mali, the nascent militant group rose to infamy with a well-coordinated ambush during a joint US-Niger patrol at the Niger-Mali border on October 4. This, combined with the galvanizing of Islamic militant groups such as al-Qaeda in the Islamic Maghreb (AQIM) and Nusrat al-Islam (JNIM) in central Mali, has pointed to a worsening of the security situation in western Africa. Niger has its own militant groups to contend with, most prominently the infamous Boko Haram that primarily operates in nearby Nigeria and Chad. To the north is Libya, ravaged by civil war with multiple competing governments and Islamic militant groups fighting over the future of the country. The situation in these beleaguered African nations is not expected to improve in 2018, just as it deteriorated in 2017. AFRICOM has become more active in the region, conducting dozens of airstrikes in Libya and Somalia that are virtually never reported on. Many Americans were unaware that the US had forces stationed in Niger before the October ambush.